A transforming all natural peel to lift away damaged upper layers leaving a brighter, luminous complexion. Ananas cosmosus, Citrus sinesis, Citrus limon, Oryza Sativa, Solanum Tuberosum Starch, Lac Powder, Corn starch, Fragrance. Pour a generous teaspoon full of powder onto wet hands, rub together to make a paste and apply on moistened face. Massage thoroughly until product is only slightly visible. Leave until dry (about 5 min). Then, over the sink, rub the skin until product starts flaking off. Rub off as much as possible and rinse the remainder with cool water. Pat dry. Before this, I have tried Hello Glow Rose Dust - Anti-aging Facial Cleansing Polish and Hello Glow - Whitening Plus Facial Polish I was a big fan of both the products specially Whitening Plus Polish is my all time favorite . While having previous hits in my mind I decided to try this yet another new product by Rose Link UK. Hello Glow - Whitening Plus Peel and Reveal comes in a bottle which is not very user friendly. You can always expect some extra powder coming out of it. Though I must say, its travel friendly and you can easily carry this little bottle in your purse. The texture is powdery like the previous products having fine exfoliating granules. It has a strong sandal wood kind of fragrance which is an absolute love for me. The amount of the product is also fine . Even after using for quite sometime , my bottle is still almost full. As directed , I pour about a teaspoon full of powder onto wet hands, rub together slightly and apply it on my moistened face. I usually massage until product is slightly visible. Leave it on my face until dry about 5-7 min. Then, i slightly damp my face and fingers again and with very light hands with absolute no pressure rub the skin until product starts flaking off and rinse the remainder with cool water. If I am having pimples on my face , i try to reduce the rubbing time. To my great surprise , my skin was literally glowing even after the first usage. For the reference my skin is oily/combination and is acne prone . It helps in drying few breakouts on my face as well . I use it once or sometime twice a week. As i mentioned in my previous post , i am using a healthy skin care routine so i am using few more products as well . Also i wanted to check the results of it during Summer and Rainy season for the review purpose as most of the products totally disappoints during these tough seasons . To my great surprise , after sometime people started complimenting me on my random Instagram pictures taken by my phone camera( you can also check my Instagram by clicking HERE ) and started inquiring about what I am using these days or whats the reason of that shiny healthy glow on my face . Now I hardly use foundations these days as bb creams or even sunblocks are more then enough for my healthy skin Ma Shaa Allah. I must say that I am so thankful to Hello Glow Rose Link Uk for giving me that healthy , shiny , glow and for making it possible for me to remain tan free this season. After months of usage I must say that I am totally impressed by the product and almost all the claims are right according to my experience . Natural peel to lift away damaged upper layers leaving a brighter, luminous complexion. In my below picture I am using just a cc cream and you can see how flawless Ma Shaa Allah my skin is looking. Definitely YES , its totally Worth It ! Hello Glow Whitening Plus Peel and Reveal 50mg comes with a price tag of £9.99 with FREE UK DELIVERY. For more details, check Rose Link UK Website, their customer services department is very co operative. You can also check Rose Link UK Face book page . 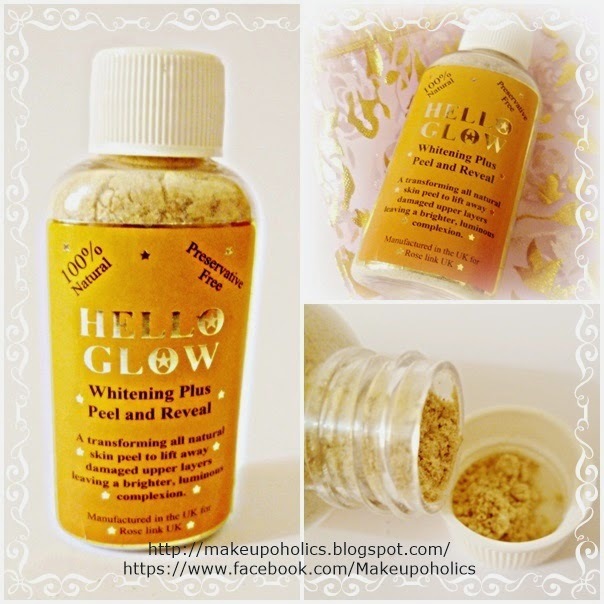 Pakistani girls, you can buy Hello Glow Whitening Plus Peel and Reveal 50mg from Vicky's( contact no 35807014 ) for around PKR 1000. Great product great review, great skin and great U! 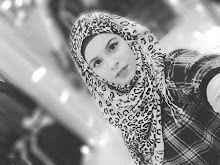 Just came across your blog and really liked it. Want to try all these glowing products you are reviewing. Review : LU' LU' BAG - Surprises Are Fun !